They are often the first point of contact in emergency situations. We rely on them to provide life-saving care and on a daily basis they are involved in high-stress and traumatic situations to help others. Canada’s public safety personnel — correctional officers, dispatchers, firefighters, paramedics and police officers — are a critical component of society. But do we know what mental health disorders they face and what support they need due to their strenuous line of work? 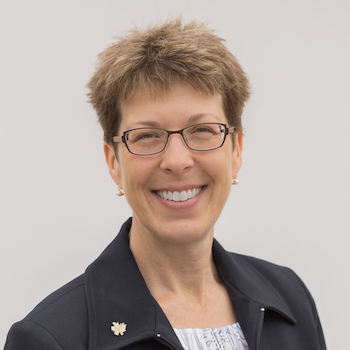 Laurier Associate Professor Renée MacPhee has joined a new national network based out of the University of Regina that is researching this critical question. The Canadian Institute for Public Safety Research and Treatment (CIPSRT) was launched in July 2017 in response to a federal government public safety committee report. CIPSRT brings together leading researchers and stakeholders to improve the mental health of Canada’s public safety personnel, an area of research needed and underscored by recent CIPSRT findings in a new national survey of these workers. MacPhee, who is in Laurier’s Department of Kinesiology and Physical Education with a cross-appointment to the Health Sciences Department, is an associate director with CIPSRT and leads the centre’s work on paramedics — a group of approximately 38,000 individuals in Canada. MacPhee’s primary area of research — on the health and well-being of paramedics — started when she moved to Waterloo Region for graduate school. MacPhee’s experiences at the hospital drove her PhD research and has influenced her work as a professor at Laurier. For the past 18 months, she has been working behind the scenes to help launch CIPSRT and to include national stakeholders — such as the Paramedic Chiefs of Canada and Paramedic Association of Canada — in the work of the new centre. Through CIPSRT, MacPhee will explore a range of often-overlooked areas faced by public safety personnel. MacPhee will also explore how the families and friends of public safety personnel can be impacted by the nature of the work. MacPhee will initially focus on the governance structure of CIPSRT’s work in relation to paramedics. Once federal funding is fully in place for the new centre, MacPhee and her colleagues will begin to explore what research might have the most positive impact on the lives of public safety personnel.